As of right now, nearly all of the country has already experienced record low temperatures at this time of year. It is already shaping up to be a long and cold winter. That means your heating costs will rise along with the expenses for just about everything else! But, there are ways to save money and remain frugal to save some serious big bucks in your winter heating expenses. It’s important to keep your costs down for many reasons. Your pocketbook being chief among them. Without further adieu, let us examine how to Save Money on Your Home Heating. Quality insulation serves as perhaps THE best way to keep warm air in your home. You absolutely need to keep insulation up to code in your region to make your home as efficient as possible. An insulation professional can help you choose the correct insulation. You must also ensure your heating and air ducts aren’t leaky. This process may cost upwards of $1,000. However, you should see some serious money savings in about a year or so. 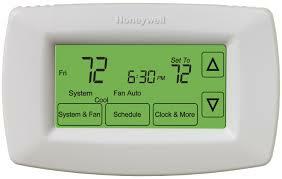 Do you own a programmable thermostat? According to Bankrate.com, you should purchase a programmable thermostat. Then, adjust it to 10 to 15 degrees cooler for the time you are at work and your kids are at school. You could end up saving 10 percent from your regular heating bill. This same technique also applies in the summer. Set the thermostat higher (hotter) when no one is in the home and watch the savings rack up on your monthly bill. Have you considered turning down the temperature of your water heater? Usually, the water heater is set far higher than necessary. You can save on your water heating costs just by turning it down a few degrees. You could also limit showers to a certain amount of time and install low-flow shower heads. Are your windows old or outdated? At my home in the winter, we put our storm windows on the windows to keep the heat in. But many homes have drafty windows. You don’t have to buy expensive windows to solve these problems. Add storm windows and make sure all the seals around each window is tight and not broken. You can buy an array of sealers at your local hardware store for this easy fix.